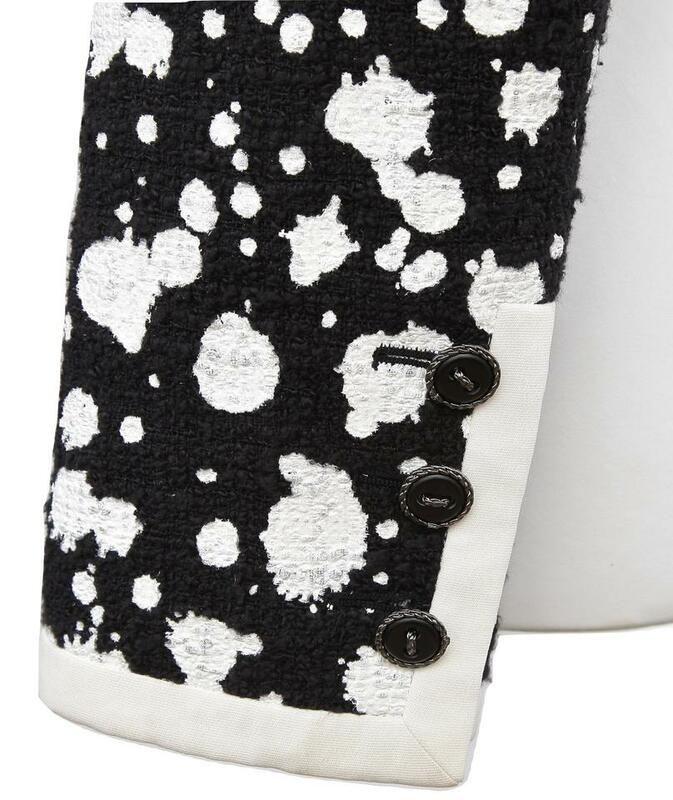 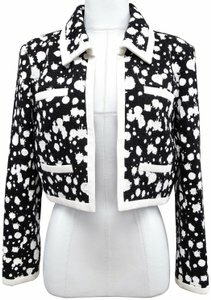 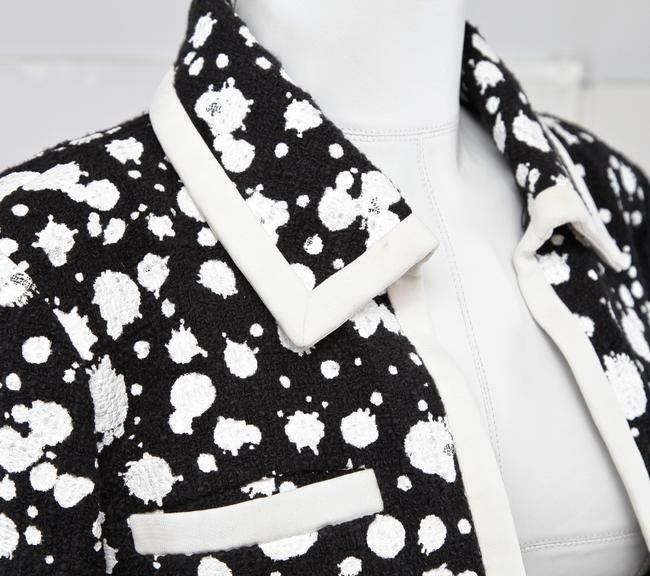 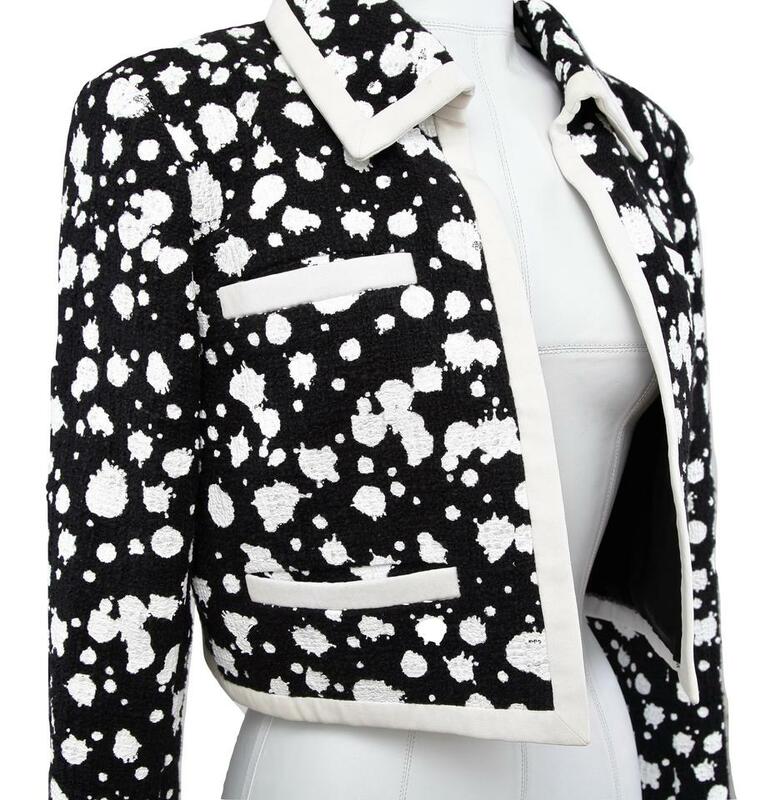 - Chanel cropped jacket with splatter paint print throughout in black and white. 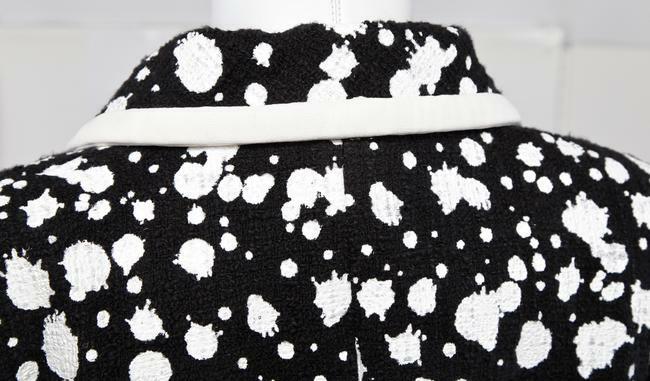 - Four slip pockets at front. 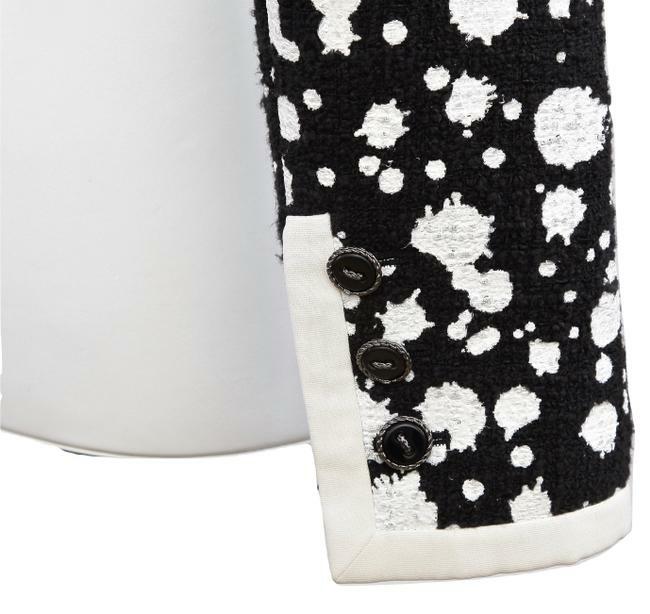 - Long sleeve, buttons at cuffs. 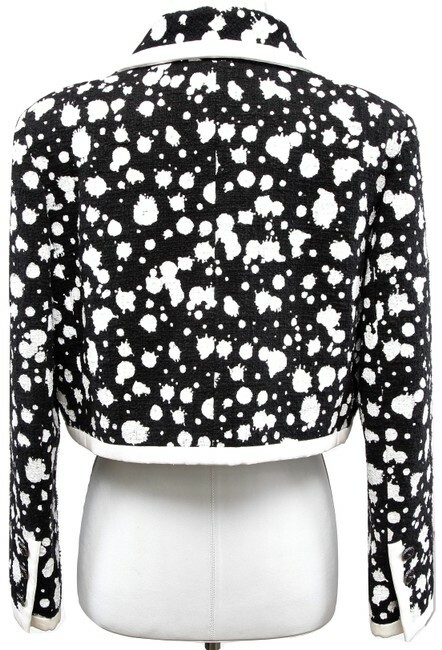 - Contrast off-white trim throughout. 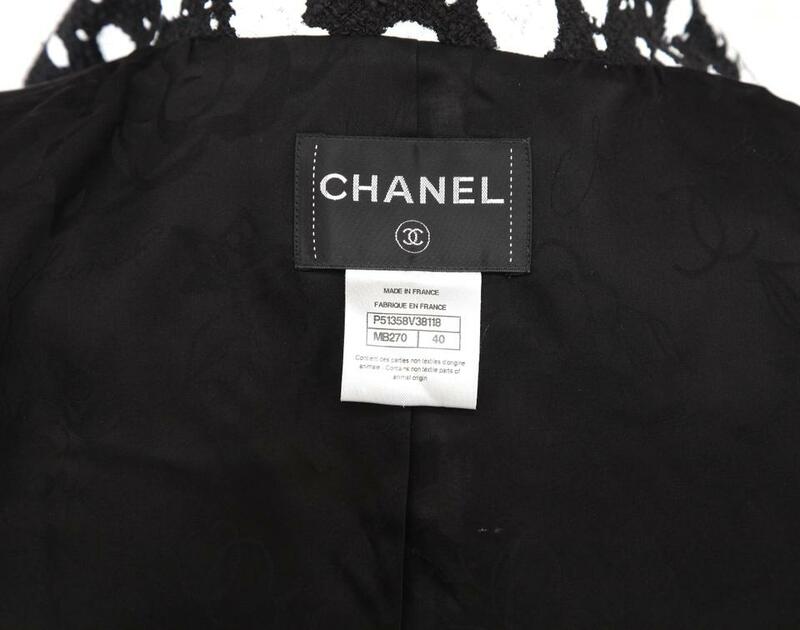 - Fully lined in silk with signature chain at hem. 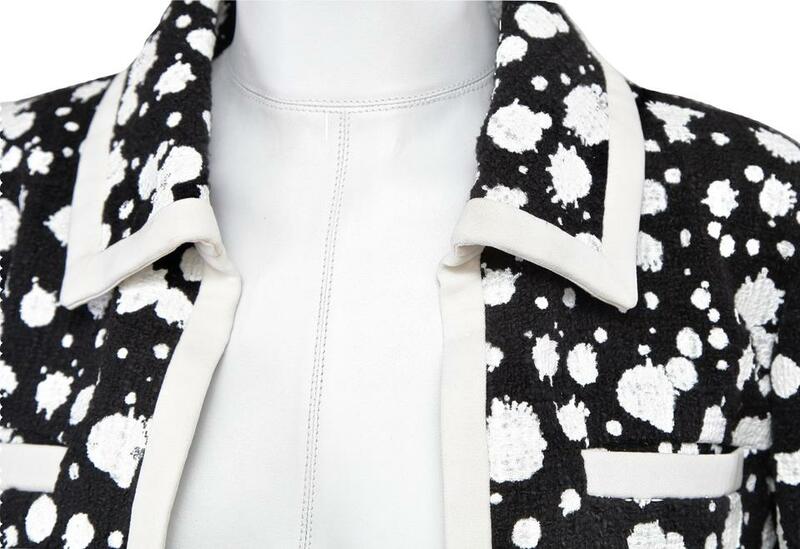 Fabric: 90% Cotton, 10% Rayon; 100% Silk lining. 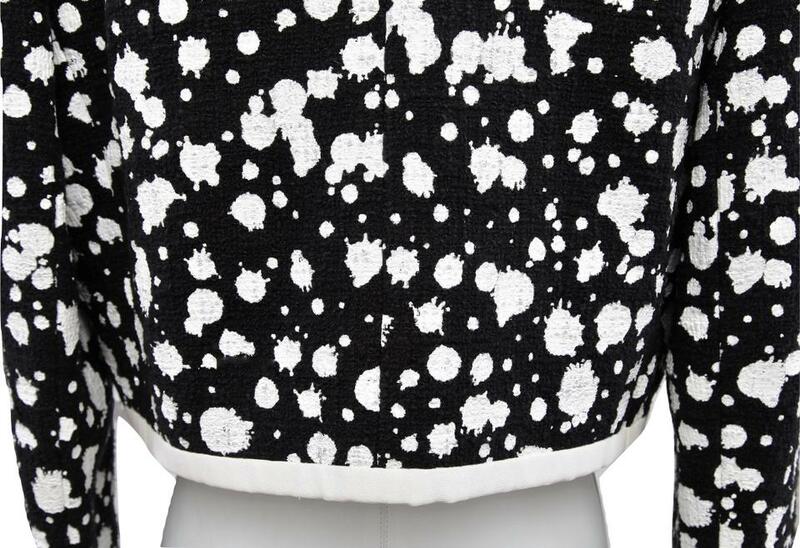 - Underarm to Underarm: 19.75"
-We consider it a privilege to serve as your luxury fashion concierge. 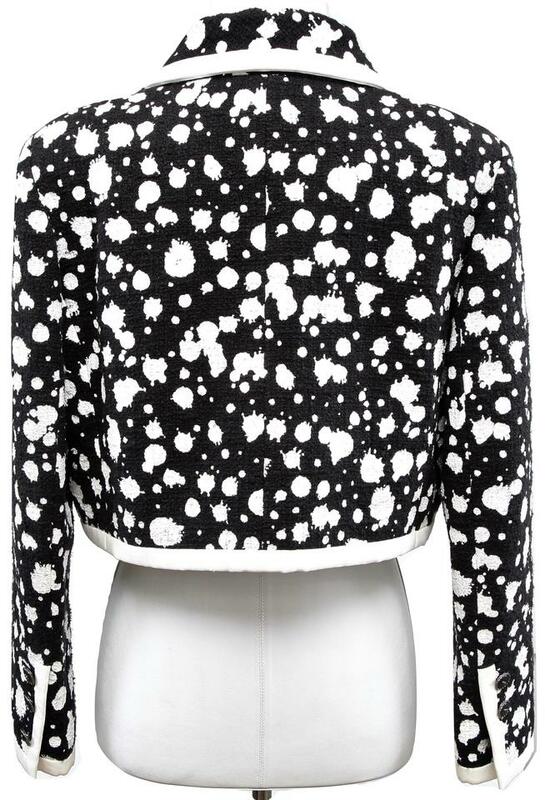 o The splatter paint print is in good condition. o There is visible make-up staining on around collar trim, and marks on cuff and down front trim.